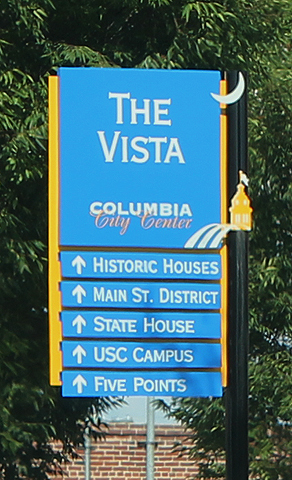 Downtown Columbia, SC’s more than 60 restaurants and bars numerous art galleries and specialty shops have made The Vista the city’s center of urban residential development and fun. In addition, Columbia’s Colonial Center arena and the Columbia Metropolitan Convention Center, shape the southern boundary of the Vista. There is also a Publix Super Market, located in the historic South Carolina State Dispensary warehouse.